California rivals meet in a high-profile first-round matchup in the 2018 Stanley Cup Playoffs. The first round of the 2018 NHL playoffs will feature another installment of “So-Cal” vs “No-Cal”. 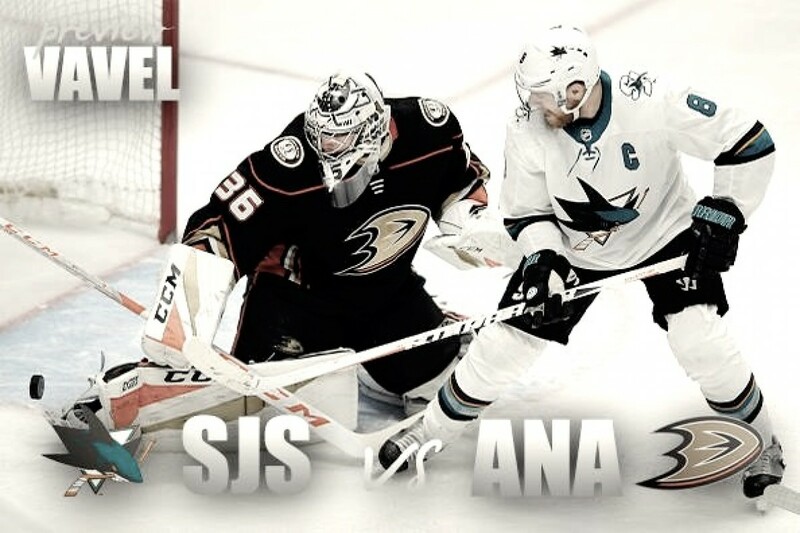 The year’s series will feature the Anaheim Ducks and the San Jose Sharks. Even though not many experts picked either team as a favorite to win the Stanley Cup, this series has potential to be the most exciting one to watch in the first round. Especially since both teams are evenly matched and have quietly had solid seasons in their own right. The fun begins Thursday, April 12, 2018. They faced each other four times this season and the Sharks came out on top, holding a (3-0-1) record. On paper, it looks like the Sharks have a huge advantage, but the matchup was a lot closer than most think, as three of those games were decided in a shootout. At the same time, the Anaheim Ducks have been hammered with injuries all season and did not have their best roster against the Sharks in most of their head-to-head matchups this year. This series has potential to be full of high-profile matchups. Who will Randy Carlyle assign Ryan Kesler to shut down? Will the Sharks play Brent Burns against Ryan Getzlaf ’s line all series? Those are some questions the coaches will have figure out throughout this series. Matchup-wise the Ducks might hold a slight edge, as they have a three-headed monster down the middle including the likes of Ryan Getzlaf, Ryan Kesler, and Adam Henrique. Meanwhile, Joe Thornton is doubtful to start, the Sharks will have to depend on Joe Pavelski and Logan Couture to carry the top-two lines down the middle. Additionally, the Ducks have a huge collection of very capable wingers throughout their lineup. Including Rickard Rakell, Jakob Silverberg, Ondrej Kase, and Andrew Cogliano scattered across their top three lines. On the other hand, the Sharks have a handful of forwards that still need to prove themselves in the postseason. This includes Evander Kane, Timo Meier, Kevin Lebanc, and Mikkel Boedker. The Sharks might hold a slight advantage with a more experienced blueline featuring Brent Burns, Justin Braun, Paul Martin and Marc Edouard Vlasic. However, the Ducks have a younger and possibly more well-rounded defensive core that includes Cam Fowler, Hampus Lindholm, Josh Manson and Brandon Montour. Goaltending wise it might be a wash, as both John Gibson and Martin Jones are equally as good number goalies in the NHL. Additionally, both teams have great depth in net. With both backup goalies (Aaron Dell, Ryan Miller) capable of holding down the fort when called upon. Anaheim (44-25-13) finished second in the Pacific Division and will have home-ice advantage in the series. Meanwhile, San Jose (45-27-10) finished third in the Pacific Division. Rakell was the top-performer for the Ducks, notching two goals and three assists in their season series matchup. On the other hand, Logan Couture was the Sharks top producer, scoring one goal and three assists in their four meetings. No doubt, this should be a close series and has potential to go seven games. The Sharks might hold the regular season advantage but the Ducks look to be the deeper team right now, especially with Getzlaf and Kesler back in the lineup. Anaheim also has more proven complimentary players in their lineup and is essentially built to win-now. Meanwhile, the Sharks’ Stanley Cup window may have closed already. Prediction wise, the Ducks should be able to outlast the Sharks and win the series in seven. What are your thoughts and predictions? Comment below.